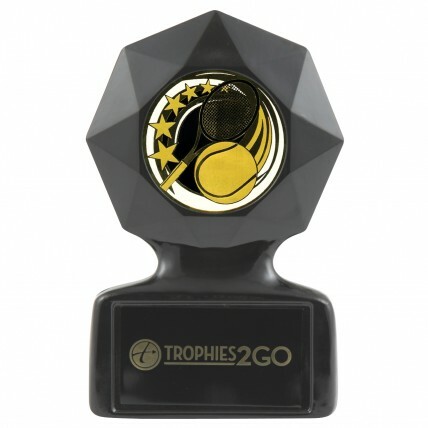 Select an award with some spirit that will stand out among other trophies! The Vintage Black Acrylic Tennis Trophy features a black acrylic star figure with a shiny golden accented tennis image in the center. 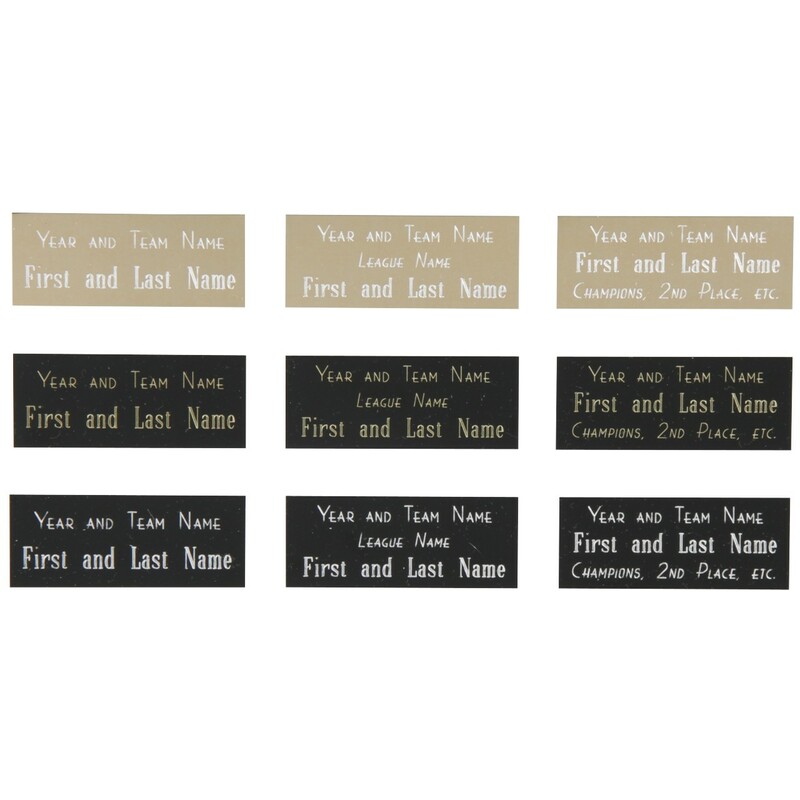 This trophy includes free and personalized engraving on a black brass metal plate. The exceptional coloring of this award gives it an antique feel, and makes it the ultimate choice for tennis lovers! Available in size small (5") or large (6").